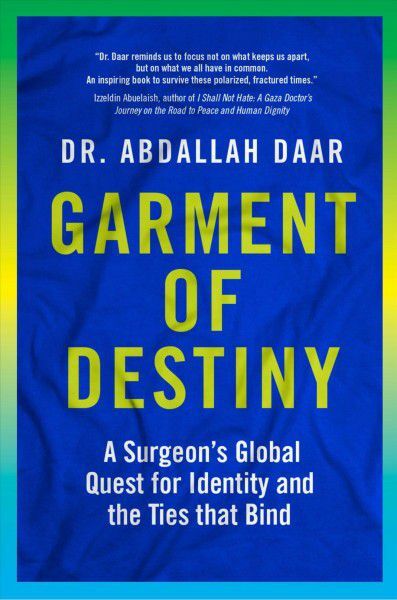 Professor Jimmy Volmink, Dean of the Faculty of Medicine and Health Sciences at Stellenbosch University will be in conversation with STIAS Fellow Professor Abdallah Daar about his new book, Garment of Destiny. This informal conversation will take place during the regular reception following the fellows’ seminar on Tuesday, 20 November 2018. Copies of the book will be for sale at R280 per copy; also available online at Takealot and Loot (in South Africa) or on Amazon (outside South Africa and on Kindle).